What is a computer LAN network? Computer networks are often called LANs. This is short for Local Area Network. 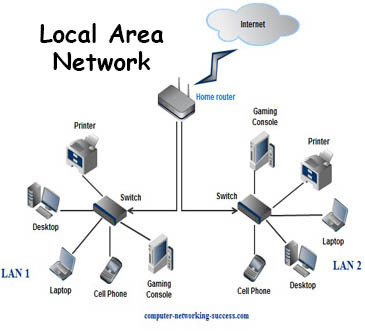 The LAN allows locally attached network devices to share resources in a limited area. 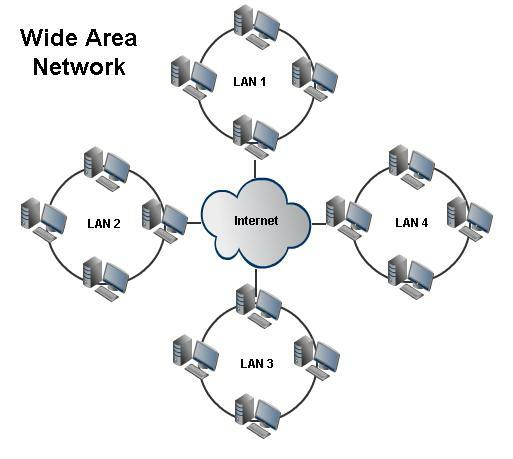 A WAN (Wide Area Network) is simply multiple local area networks (LANs) connected together. This can be accomplished by using 56 kbps telephone lines, T1 lines (1.544 Mbps) and other forms. Routers serve as gateways to all the different LANs. Mbps stands for megabits per second. A typical wireless n router can communicate up to data speeds of 300 Mbps on your local network. This means you can transfer files from one computer to another at 300 Mbps using your wireless router. This is also way faster than your home internet speed. If you use a network cable it can reach gigabit speed. The network cable is called an Ethernet cable and can also be called a patch cable. 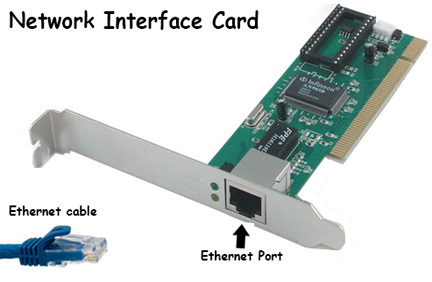 This network cable can connect to your computers NIC (network interface card) which can also be called an ethernet port (RJ45). The NIC on your computer looks similar to a regular phone jack but it's wider. On the local area network any computer that does not share a resource or “serve” is called a client. There are only two kinds of computers on the network, a client or a server. When you share a folder on your computer, that computer becomes a file server. Share a printer on your computer and it just went from client to a print server. Share pictures, audio or videos and your computer becomes a media server.....Get it? Your home router we talked about, yup that’s running as a DHCP server. It is running a network protocol called DHCP (Dynamic Host Configuration Protocol) that is used to lease IP addresses and other information to the network devices on that network. There are many network devices on your computer LAN network. 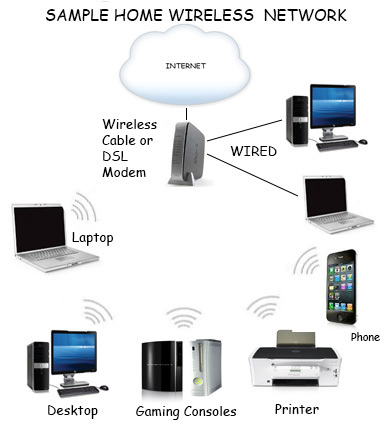 In today’s age every device that connects to a network is connecting wirelessly. For obvious reasons, it is much easier to walk around with your iPhone or iPod without a cable. Can you imagine how congested the city would look if your cell phone had a cable connected to it from your home?